Vodafone Sure Signal 3G signal booster registration "Stuck for a name? Try using your surname and the year you were born." The private sector near monopolies which operate within the UK government regulated telecommunications / internet service provider market are inherently not to be trusted to look after the Privacy and Anonymity requirements of their captive customers. 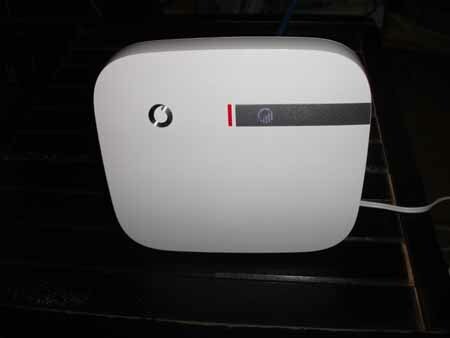 For example, when registering a Vodafone Sure Signal device, which plugs in to your domestic or business broadband internet connection and acts as a short range 3G mobile phone signal booster femtocell. Despite the fact that purchasers of such devices are doing them a huge commercial favour, saving them lots of money in otherwise necessary improvements to their 3G mobile phone network infrastructure, Vodafone have a cheeky / creepy "help" pop up on their Clear Signal device registration page. Not content with demanding your Post Code and street address (but not your actual house / office number within the street), you have to give the Clear Signal device a Name, which is presumably available to their network engineers and other snoopers. Stuck for a name? Try using your surname and the year you were born. 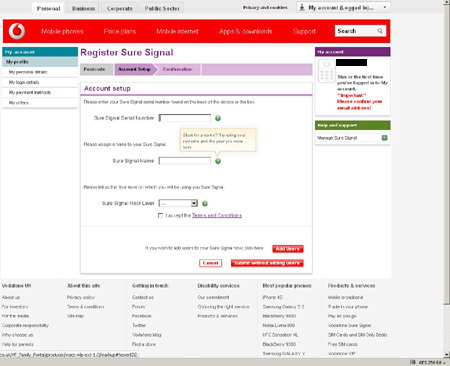 It is likely that the Sure Signal Name will find its way into Call Detail Record (CDR) and other logfiles associated with each individual 3G mobile phone voice , SMS text or data call, which will be passed on to people or organisations who would not routinely have access to the Registration database or other Subscriber Data. It is already a scandal that your financial bank and credit card details which you used to purchase a subscription, contract or phone handset with, are at risk of being snooped on or abused by people and organisations, who are only supposed to be doing simple "reverse telephone directory" lookups of who a particular phone or internet or email account is registered to. Follow the latest Communications Data Capabilities Programme (CCDP) snooping news on Twitter via the #CCDP hashtag. "the surveillance state éminence grise of repressive surveillance policies Charles Farr (why is he still in a position of influence under the Coalition after his disastrous New Labour policies ?)" dominated the Home Office evidence. 4 / 5% for explosives ??? Interception of Communications Commissioner's Annual report due out next week / published this Friday 13th. Anonymisation will "cease to be a significant problem." if you have the data, provided for in this legislation, then you can resolve, increasingly, anonymous communications, which are a feature of, the communications environment in which we live. Put it another way, if you have the right kind of data, issues of anonymisation, cease to be a significant problem. Well, err, if people choose to take greater efforts at anonymisation, that is not necessarily a problem for this Bill. errm, If they are engaged in a criminal activity, which we are investigating, then of course, in theory it may become a problem. However, there will be cases, where people can find, of course, perhaps temporarily, workarounds to, to, some of what is envisaged here. But I emphasise, we still envisage, that by 2018, we can stem the capability gap, and restore coverage to something 85% of what we need. RIPA & CDB public authorities: "was I lied to then or are we being conned now ?" Under questioning, he then produced a letter to the whole committee, which showed that when the Bill was completed, there about 32 public authorities added. 12 months later we ended with 500 and we've got 650 So I wonder, was I lied to then or are we being conned now ? No criminal sanctions in the Bill, why not ? One warning note of potential disagreement emerged from Nick Brown, the former Labour Chief Whip. Nick Brown (NB) asked about penalties for misuse, however he did not agree with the Chair that Criminal Sanctions would work. We will be watching out to see if he manages to influence the final Committee Report to water down this vital point. ... on the face of this Bill, to reassure the public, that any abuse of powers, by a police officer, or any other, designated person, will be treated very seriously. Why not put some criminal sanctions in the Bill ? LB: If you have any further advice to give us about criminal sanctions, we will happily recieve a paper on it. Please lobby these people with your opposition to the Draft Communications Data Bill. N.B. Just as with the now suppressed Detainee Inquiry (whose second anniversary of doing not very much at all comes up this Friday 6th July 2012) into allegations of complicity in torture, the Intelligence Agencies and the Police and private sector Defence contractors will be intensely interested in identifying potential witnesses and especially potential whistleblowers who might wish to give Evidence to this Committee, so that they can prepare their own positions if and when they are called to give evidence and to nobble any "security risks" within their own ranks. The Wilson Doctrine only forbids the interception of the telephones, faxes, emails, tweets and SMS text messages of Members of Parliament the House of Commons and of Peers in the House of Lords. It does allow for the (self authorised) collection of Communications Traffic Data, the very subject of this Bill, about anybody who contacts this Joint Committee to give them a political message or to provide Evidence to them. If you intend to contact the Committee (which is about to make its formal call for evidence soon) , then please take some precautions, either to protect your own whistleblower anonymity, or as a matter of principle, to demonstrate what a waste of money and a blow to the UK economy, these expensive proposals will be. Hints and Tips for Whistleblowers etc. 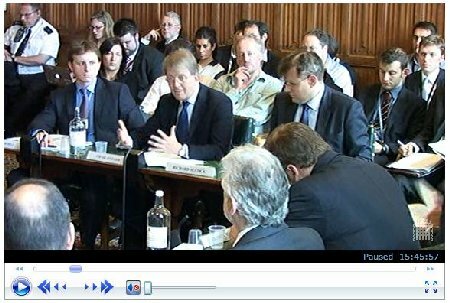 Unlike the faceless bureaucrats and lobbyists who are proposing this Bill, here are some images (from the Parliament.uk website) and some brief opinions of the runners and riders on this Committee, which is supposed to scrutinise this controversial legislation. Will they be swayed by principled civil liberties or technological arguments ? Or will they cut backroom political deals with the vested interests and lobbyists for more surveillance snooping powers and budgets ? Former Minister and New Labour Chief Whip. Gordon Brown's political "enforcer"
It will be astonishing if he champions anything but more snooping powers. So far the lone voice of opposition to the dafter aspects of the Bill, but will he be pressured by the devious former Whips into political compromises ? Had a career in IT before becoming an MP, but before the vast increase in internet usage. "Degree in Chemistry from Nottingham University, Stephen worked for IBM for four years before setting up his own IT Consultancy in 1997." Junior to Nick Brown, but with an equally untrustworthy voting record. The actual Whitehall Sir Humprey who coined the phrase "economical with the truth" during the MI5 Spycatcher book publication censorship affair. Will be perceived to be biased in favour of more snooping by the Intelligence Agencies. David Maclean the former Tory Chief Whip who masterminded the sneaky attempt in the Commons to exclude the the House of Commons (and as an afterthought, the House of Lords) from the Freedom of Information Act, just as the MPs expenses scandal was breaking. Currently a lobbyist for the government of the Cayman Islands tax haven. Not a champion of free speech, transparency or liberty. He is a former MP who has also served on the useless Intelligence and Security Committee from 1994-97 so he cannot be trusted to stand up for the general public's rights and freedoms. The delayed and modified Home Office "consultation" on Communications Data snooping and retention. What have they been working on for at least the last 7 months ? This "public consultation" should set out several, carefully costed, detailed options, but it does not bother to do so. You are invited to provide some responses to some Questions, but, astonishingly, of the three alleged Options, this "consultation" document has already ruled out two of them ! As we have come to expect from the Home Office,when attempting to deal with complicated technological issues, they do not give any real practical detail about exactly what they proposing to do. 10. Some respondents suggested that more technical detail should be provided within the draft Regulations. However, the Government's experience of working with public communications providers under the ATCSA voluntary code of practice and the first phase implementation of the DRD suggests that it is unhelpful to provide a high level of technical detail in the legislation as terms that might be meaningful to one business area, may be completely inappropriate for another or may already be given meaning within other legislation. To whom, precisely, is specific technical detail "unhelpful" ? Not to the industry, and not to the public. It is the Home Office's job to state clearly and precisely what technical details are required and which ones are exempt from the regulations. Unless and until they do state in detail, what exactly is, and what is not to be logged and retained, then all their "cost estimates" in the Impact Assessment are fiction. This response from the Government is not acceptable. Continue reading Communications Data public "consultation" with only one permitted option. which closed back in October 2008. This is the extension of mandatory Communications Traffic Data Retention, beyond what would be otherwise permitted under the Principles of Data Protection i.e. 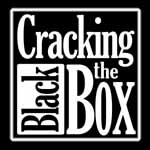 another end run around the protections of the weak Data Protection Act 1998, applied to internet access, internet email, and internet telephony. This was set to be implemented on 15th March this year, 18 months after it was applied to landline and mobile phone telephony, but now the Draft Regulations state that they will come into force on 6th April 2009. The Summary of the Responses to the Consultation does not include any reassurance for the public, or even anything to indicate that this was anything more than a "going through the motions" consultation exercise. Nonsense - we certainly distinguished between the two. As is usual with Home Office consultations, they deliberately Ask The Wrong Questions, assuming that the entire policy is going to be implemented, one way or another, when what they should be consulting on is whether aspects of the policy should be rejected altogether as a matter of principle or as a matter of technical complexity and cost to the public. There is no indication of when the supposed Consultation on the Communications Data Bill, which it is rumoured, will go far, far beyond this EU mandatory Data Retention and snooping, will appear. It was promised "by the end of January 2009", but it is now mid February. Question 2: Is the data required to be retained specified clearly in the draft regulations? If not, why not and can the specification be clearer? "any text, voice, sound or image message sent over a public electronic communications network which can be stored in the network or in the recipient's terminal equipment until it is collected by the recipient and includes messages sent using a short message service". 11. The Home Office therefore proposes to continue the practice, initiated through the ATCSA voluntary code, of developing meaningful detail through bilateral consultation and specific agreements with individual public communications providers (in cases where the public communications provider's own business practices do not already meet Government's public protection requirements). Note the utter lack of any involvement by members of of the public, citizens, taxpayers or customers in this cosy, secretive "bilateral consultation". N.B. the above media coverage links are on the Mi5 Security Service website. They certainly appear to be measuring the newspaper column inches which they themselves generate i.e. doing media monitoring / spin, even though they allegedly do not have a Press Office, supposedly leaving that to the Home Office. The Home Office has a supposedly specialist Press website, which is never up to date, especially at weekends, and whose Press Releases do not seem to include many of the stories which Home Office spokesmen seem to feed to the press. On Friday there was some confusing reporting by the BBC (radio, tv and web) , conflating the European Union Communications Data Retention with the still as yet unclear Interception Modernisation Programme plans to update GCHQ's infrastructure, and the even vaguer political kite flying by Home Secretary Jacqui Smith for a secret centralised data trawling database, which may or may not appear in the promised Communications Data Bill. 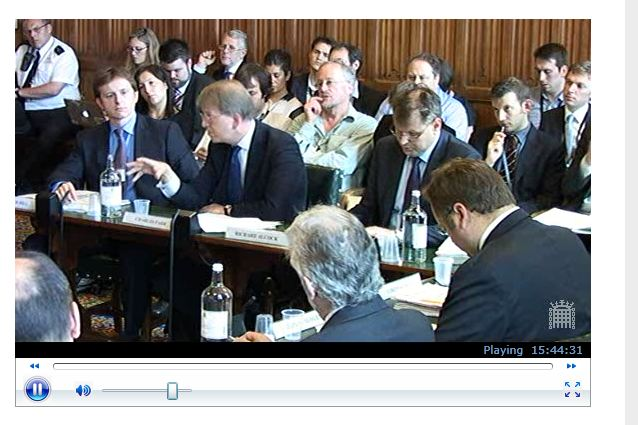 See The Register - Confusion reigns ahead of comms überdatabase debate. Continue reading Communications Data snooping - MI5 Jonathan Evans, BBC, DPP Kier Starmer. The BBC's Politics Show broadcast last Sunday, has collated some Freedom of Information Act disclosures on the financial payments made by Police Forces to mobile phone companies, to reimburse them for the cost of providing Mobile Phone Communications Traffic Data. The Politics Show has used Freedom of Information requests to find figures for 49 of the 52 regional police forces who, in total, spent £8.6m in the 2007/2008 financial year. Twenty five forces spent over £100,000 and four spent over £500,000. The Metropolitan Police Force was the largest, spending £1.4 million. There is no standard fee for a search, and whilst it can be waived (and sometimes is) forces tend to be billed on a case by case basis. On the Politics Show on 7 December, Former Shadow Home Secretary, David Davis, said: "Companies should have a sense of civic responsibility, and in my view, that means this sort of material should be provided free." Unless and until, other effective safeguards are put into place, e.g. making it a criminal offence to request a disproportionate amount of data from the telecomms companies and internet service providers, then these requests definitely should not be free. If the telecomms companies did not make any financial charge to recover these costs, then there would be massive abuse by the Police, intelligence agencies and by the hundreds of Local Authorities and Government quangos, and other bureaucrats and by rich libel or copyright lawyers in civil cases via a court order etc. who are authorised under the the Regulation of Investigatory Powers Act to access such data. Currently, there are no other effective safeguards to prevent this sort of disproportionate Communications Data snooping and trawling, only the financial cost and audit trail mechanism. Continue reading BBC Politics Show - Police payments to mobile phone companies for Communications Data.